Estate & Probate Attorney in MA and NH | Thomas Kiley, Sr.
After the loss of a loved one, it’s completely normal to be at a loss for what comes next. While KLG Estate Planning Attorneys have helped with all parts of the grieving process, we can help with the legal side of death. 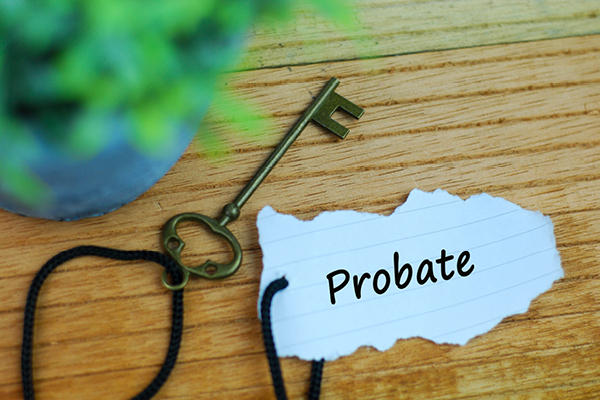 Probate is the first step in the legal process of administering the estate of a deceased person, resolving all claims and distributing the deceased person’s property to the beneficiaries. There is no way to avoid probate; our job is to make the probate process as easy and quick for your family as possible. While there is no way to avoid probate, there are differences in laws between states that may make the probate process extremely simple. Typically, the smaller the estate, the more simple the probate process. In Massachusetts probate law, there are four types of probate: informal probate, formal probate, late and limited formal probate, and voluntary administration. Informal probate is an administrative proceeding, processed by a Magistrate, which can be expedited if all legal requirements are met. With a properly created and maintained estate plan, this would be the desired probate solution. These results are generally expedited, as Magistrates can issue an informal order as early as 7 days after the decedent’s death. Formal probate matters are typically heard by a judge and may involve one or more hearings before the court, and may be necessary if instances where there is an objection to an informal probate or will. If more intricate administration on an estate is required, there’s a good chance your case will need to go through a formal probate. Late and limited formal probate is a relatively new form of probate procedure and is available in limited and very specific circumstances. For example, if a person passed away more than three years ago, and no probate process was ever initiated, successors may petition the court for a late or limited formal probate. Voluntary administration is a simplified procedure for an estate with minimal assets and no real estate. It’s available whether or not the decedent left a will. In New Hampshire probate law, small estates can avoid a formal probate process if they fall beneath an established threshold. States above that threshold will need to go through a probate process in probate court. Outside of having a small estate in New Hampshire, there are a few ways one can avoid a complex probate process, of which KLG is more than capable of assisting. Tenancy by the Entirety or Community Property With Right of Survivorship – these are forms of property ownership that function like joint tenancy, in that the survivor owns the entire property at the death of the other tenant; however, this option is only available to married couples. Beneficiary Designations – retirement accounts and life insurance policies have named beneficiaries. Upon the death of the account or policy owner, these beneficiaries are entitled to the assets in the account or the proceeds of the policy. Payable on Death Accounts/Transfer on Death Accounts – bank and brokerage accounts can have designated beneficiaries, too. The account owner can fill out forms to designate who should receive the account assets after their death. Also, if a decedent has created a Living Trust to hold his or her largest assets, the estate will be divided according to the direction of the Living Trust, and will not need to be decided in probate court. The one exception would be if the assets left outside of the trust add up to more than New Hampshire’s small estate limit – the estate would need to go through probate to address these outstanding items. No matter what probate process works best for your situation, the attorneys at KLG Estate Planning attorneys will be with you and your loved ones from beginning to end. Dealing with the death of a loved one is hard enough without the added confusion from probate law in Massachusetts and New Hampshire. If you or someone you know is facing probate, contact our office at 978.474.8670 to schedule your appointment.